You may have heard the term plant-based, but are you confused about what it really means? Does it consist solely of just salads sprinkled with some “fake meat” that make up a meatless meal? Granted, that doesn’t sound appealing – and it’s also FAR from the truth. What if one of your favorite meals could be made entirely from plants, supply a substantial amount of essential vitamins and minerals, provide an extensive list of health benefits, and most importantly, you wouldn’t have to miss out on the savory meat taste? 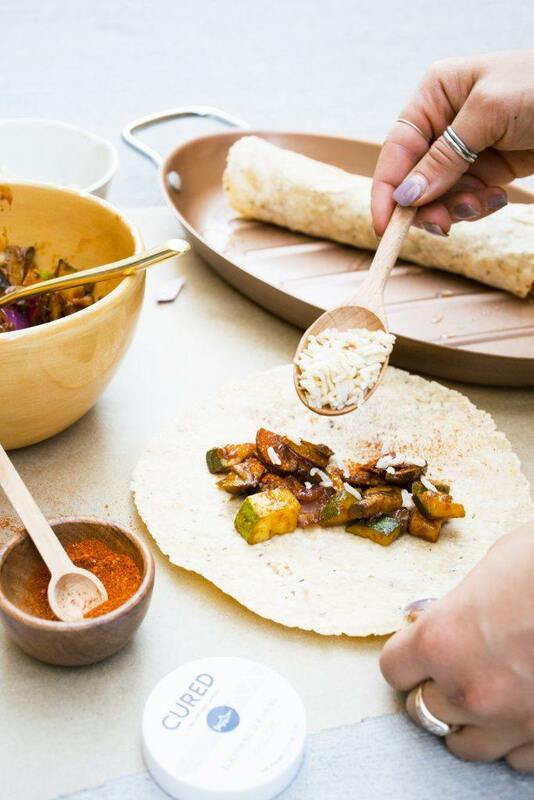 Well, get ready to throw a fiesta, because that’s where our plant-based burrito recipe comes into play! Who doesn’t love a rich and hearty Mexican dish, filled with spicy sauces, rice, guacamole, and mushrooms? That’s right, MUSHROOMS! Get a glimpse into how CURED will be incorporating healing mushrooms into several new products within the upcoming months. 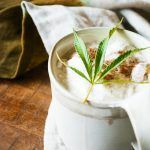 Different varieties of mushrooms purporting varied benefits are becoming more mainstream in capsules, tinctures, powder form and, as a tie in with plant-based cuisine, an alternative choice for a main course dish that is powered by plants. What does it mean to be ‘Powered by Plants’? There is no clear definition of a what constitutes a plant-based diet. The plant-based diet is not necessarily a set diet — it’s more of a lifestyle. This is because plant-based diets can vary greatly depending on each individual and the extent of animal products they choose to have in their diet. Focuses on plants, including vegetables, fruits, whole grains, legumes, seeds and nuts, which should make up the majority of what you eat. Excludes refined foods, like added sugars, and white flour. Pays special attention to food quality, promoting locally sourced, seasonal, organic food whenever possible. What do you eat on a plant-based diet? A plant-based way of eating focuses on consuming plant-derived whole foods that are unrefined and minimally processed. This means pure, unadulterated ingredients that are in their original form. Following a plant-based lifestyle doesn’t necessarily mean fully avoiding animal products like a vegan or vegetarian. For plant-based eaters, animal proteins can happily fit into the lifestyle, yet they serve as more of a side dish to your main dish of veggies and whole grains. 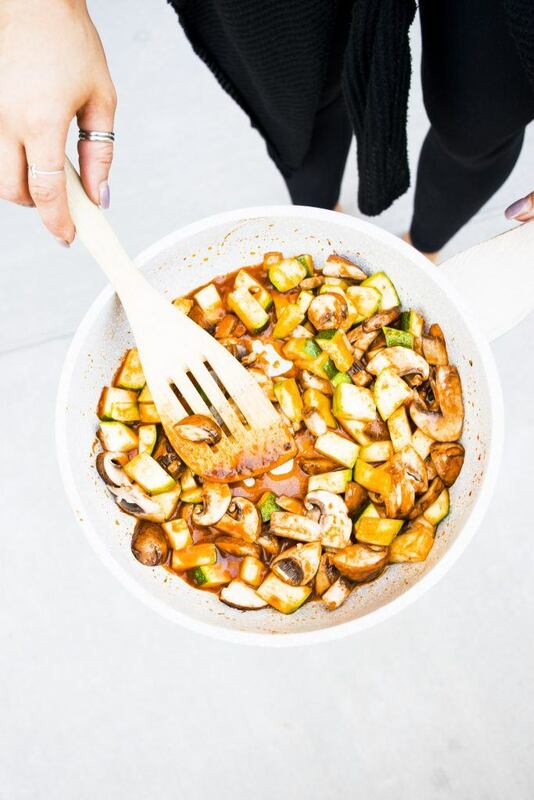 Shiitake mushrooms take the spotlight in our recipe below. They are a delicious substitute for meat, adding a umami taste to the already perfect balance of crunchy, soft, hot, creamy, and filling that your traditional burrito brings. One of the main reasons to start following a plant-based diet is for the health benefits. 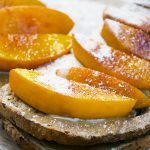 Now, more so than ever, studies have shown that dietary modifications can positively affect health. High In Anti-Inflammatory Foods: foods containing antioxidants and phytonutrients, essential vitamins such as vitamin C, E and A, trace minerals, and essential fatty acids aiding in the reduction of inflammation in the body. High in Fiber: foods higher in fiber have shown the ability to lower your risk for constipation, digestive problems, high cholesterol, heart disease and diabetes. Can Lower Your Risk for Chronic Diseases: plant-based diets help to reduce the rates of heart disease, cancer, dementia, diabetes, osteoporosis and more! Good for the Environment: Eating foods that are “lower on the food chain” takes less natural resources to produce, has a lower carbon footprint, spares the lives of livestock, and reduces food scarcity globally. 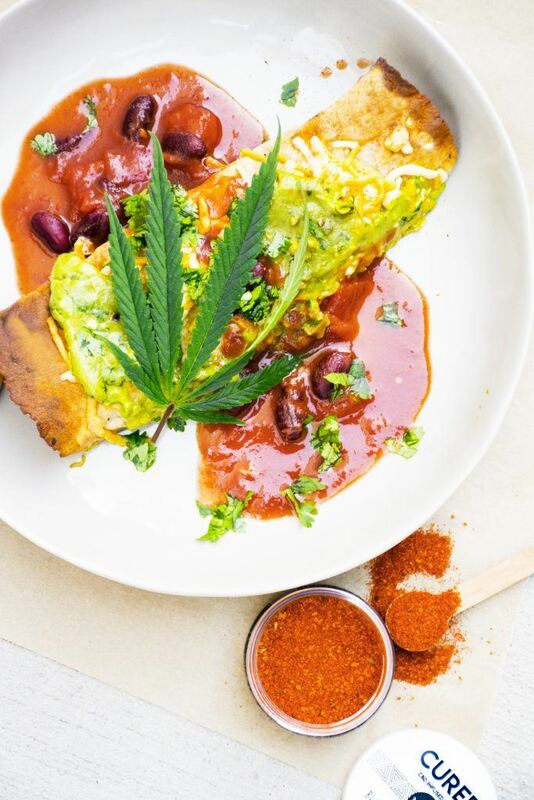 Pairing the magic of healing mushrooms, and a heaping microdose of TWO of CURED’s CBD-infused spices, results in a satisfying, ‘powered by plants’, plant-based meal that may leave you surprised with how much you enjoy the various textures, tastes, and colors you may find wrapped up in the tortilla, encouraging you to transition away from processed foods to a more plant-based way of life allowing your body to function optimally, and forever change the “live to eat” to “eat to live” statement. Lightly oil a large casserole dish or two smaller casseroles dishes. Heat one tablespoon of oil in a large sauté pan over medium-high heat. Add the cumin, Cured Blackening spice, cilantro, beans, corn and salsa, stirring while cooking until warmed. Stir in 1/2 cup salsa. Taste and add salt and pepper, if needed. Stir rice into vegetable mixture. Spoon a row of the vegetable filling in a line down the center of one gluten-free flour tortilla. Add shredded cheese if using. There are two ways to prepare the burrito from here: either roll up opposite ends of the tortilla (the two sides at the end of the row of filling) and then roll the tortilla up starting with one of the remaining sides and tucking it around the filling then rolling the burrito around itself tightly; or simply roll the tortilla up around the filling. Lay the burrito seam-down in the salsa-covered pan. Continue with remaining tortillas. While the burritos are baking, prepare the guacamole dressing. Scoop the flesh out of a ripe avocado and add to a blender or a small bowl if using an immersion/stick blender. Add lime juice and one tablespoon water. Add more water if and as necessary to make the dressing the consistency you prefer. Add salt, Cured Roasted Garlic and Lemon Pepper, cilantro leaves. Taste and add more spices if you like. Before serving, garnish with Guacamole Dressing, diced fresh tomatoes and cilantro.